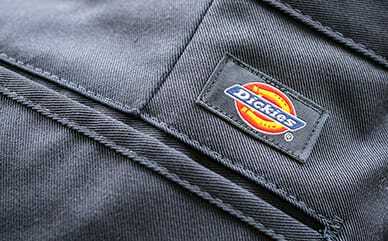 Dickies fleece hoodie with the Icon logo print graphic at the front chest and a cropped raw edge hem. A boxy comfortable silhouette. Features a drawstring hood soft fleece lining and ribbed cuffs.